The opioid lawsuit alleges that the pharmaceutical company owned by the Sackler family used a number of complex schemes to funnel millions in profits from the company to family members. Specifically, the complaint alleges that the Sacklers formed a new company, Rhodes, to make drugs for treating opioid addiction after Purdue was already under federal investigation for its opioid marketing practices. Citing a former senior manager at the company, New York prosecutors claim that Rhodes was set up as a “landing pad” for the Sacklers in case of legal fallout out around the use of OxyContin. “The Sacklers’ full understanding of opioids’ abuse and addiction risk is underscored by their willingness to research, quantify and ultimately monetize opioid abuse and addiction by pursuing the development of medications to treat the addiction their own opioids caused,” the suit states. 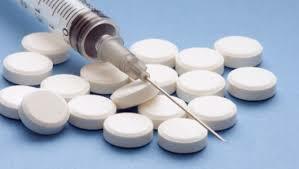 In the course of the last twenty years, more than 200,000 people have died in the US due to opioid abuse. The opioid epidemic has been fueled by greed and a slow federal government that hasn’t caught up with the illegal behavior of pharmaceutical companies.